Fully Refurbished Leybold / Oerlikon D2.5E Rotary Vane Pump. It is coupled with a KF16 Inlet Flange and KF16 Outlet Flange. 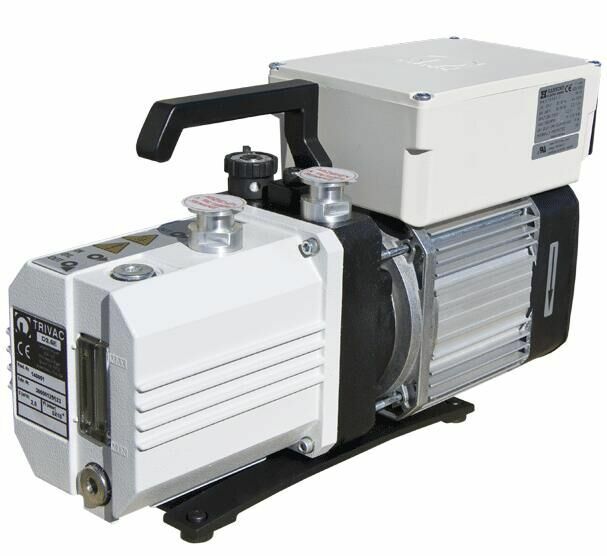 This Leybold / Oerlikon Rotary Vane Pump has a peak pumping velocity of 2.1 cfm and a final pressure of 1 x 10-3 Torr. It has been thoroughly examined and is ready for broad range of applications within the research and industrial industries. Ultimate Pressure: 1 x 10-3 Torr.